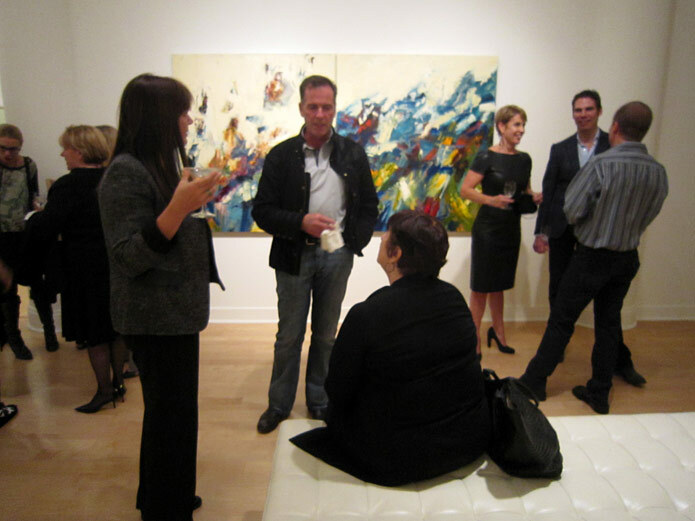 At Dolby Chadwick on Thursday night, a crowd gathered for the opening of John DiPaolo's new paintings. 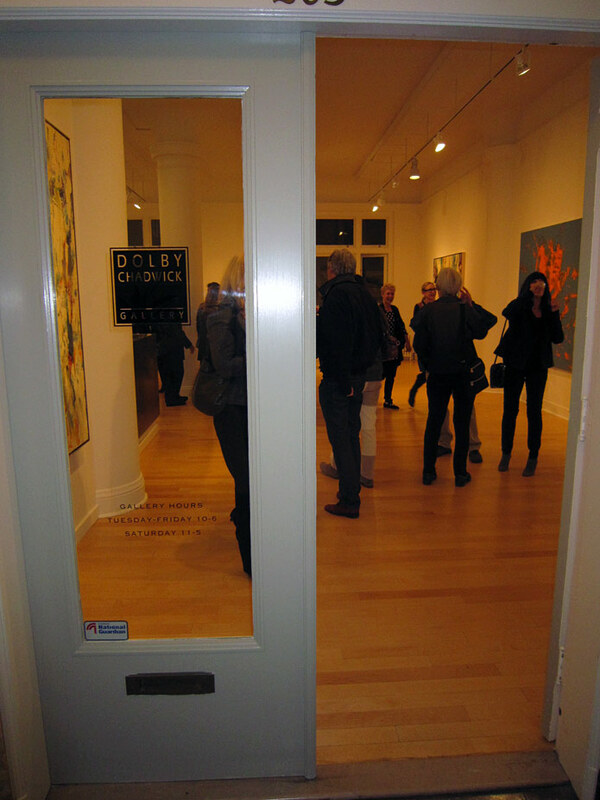 The crowd could be heard down the hallway, immediately after exiting the elevator, you were inclined to go to the gallery even if that wasn't your original destination. 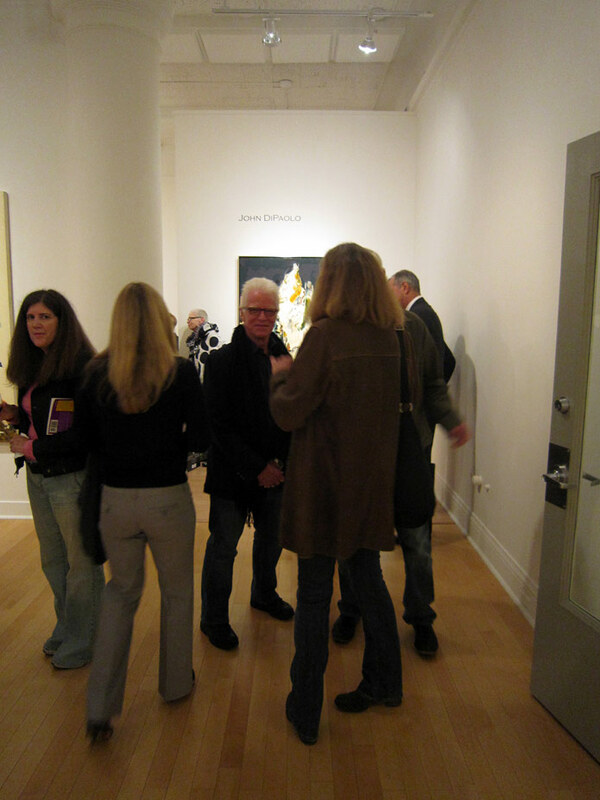 The crowd opened up to a divided space where DiPaolo's large paintings were given plenty of room to be enjoyed. 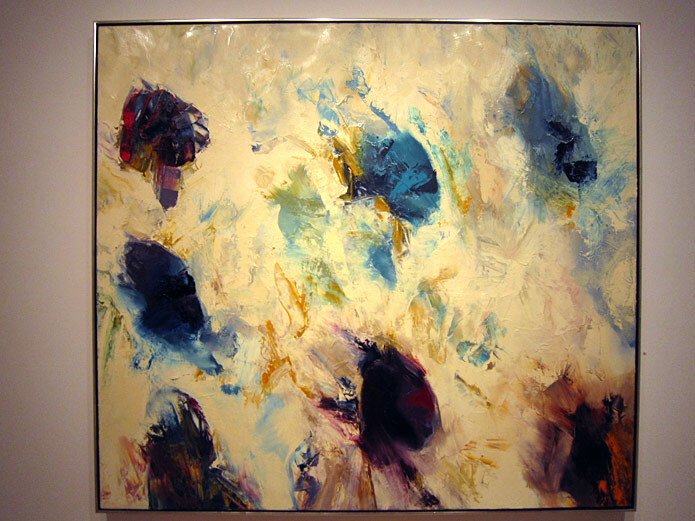 All of the paintings are abstract, and besides one which is half of a diptych, they have a restrained color palette. The paint seems to have been applied with a palette knife, accentuating the paint itself, and giving it a flat, smooth surface. 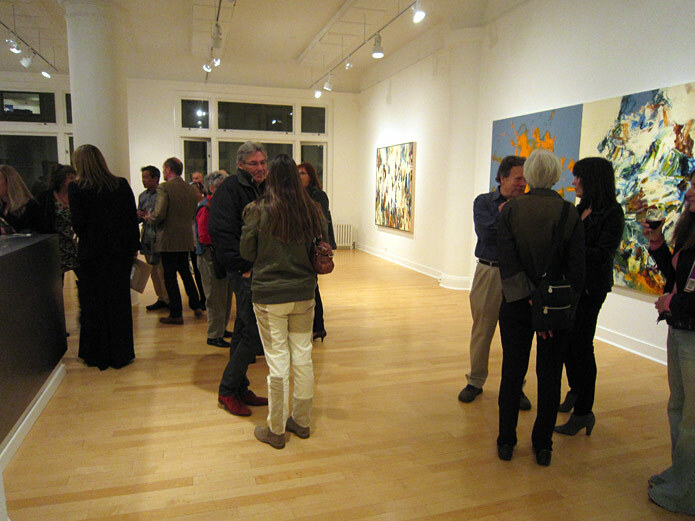 A room was separated off to the side and had a chapel-like feeling because of its intimacy and the immediacy of the paintings, and a fun arts crowd was inside to help fuel the discussion of the works. 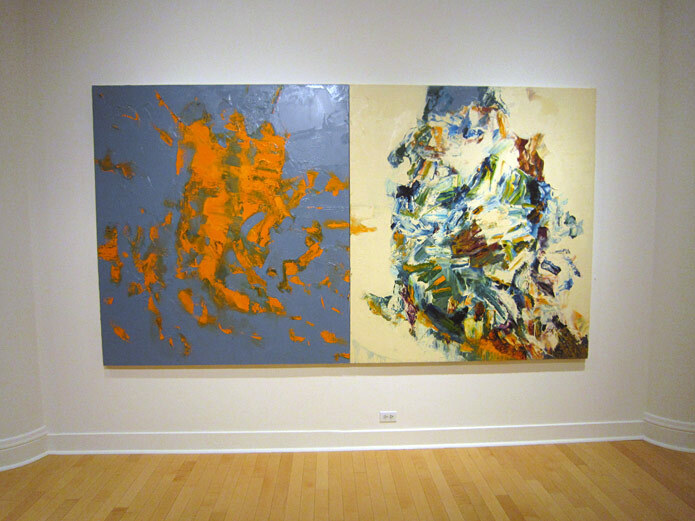 I was particularly drawn to the diptych which has a blue and orange panel on the left and a more restrained cream and colored panel on the right. The two contrast one another, but seem to be inherently inseparable, and not only because the orange paint connects both panels. The work is rich and deserved its own solo show and the audience didn't miss out on any of the quality. 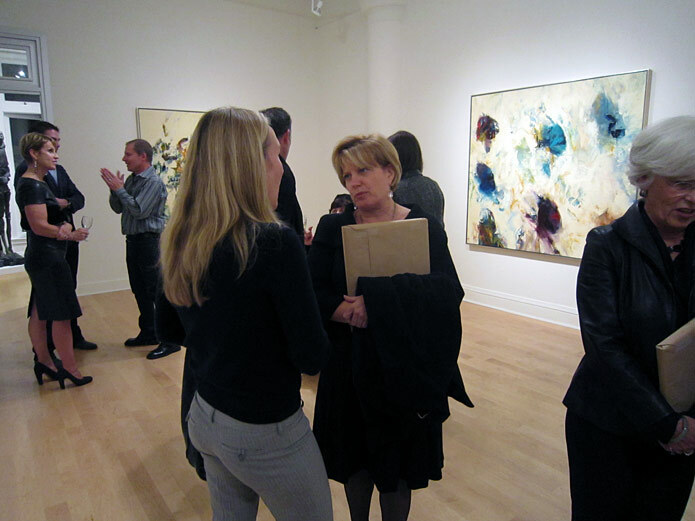 They all seemed to be enjoying each other and the paintings and made the evening a special and welcoming event.